Men will walk like runway models in heels, a mile-long strut through the mall in June to make a serious point. Risking a twisted ankle and maybe some ribbing, the novel approach to raise money and awareness for local women’s shelters kicked off at Heritage Place Shopping Centre on Wednesday. Similar “Walk a Mile in Her Shoes” events have been taking place for 10 years and have spread around the world. The walk is scheduled to take place in Owen Sound June 9 between 11 a.m. and 1 p.m.
Police, social service agencies and some local lawyers have already joined and all men are invited to take part. High heels will be provided or you can bring some from home. Men can get pledge forms and make donations at http://www.walkamilebluewater.com then walk one mile through the mall. Several men drew curious stares from shoppers at Heritage Place Wednesday as they click, click, clicked in red patent leather pumps, walking at times six abreast down on the mall’s tiled floor. It’s not the walking that will bring change, organizers say, but the talking the walk should generate. “Women need to know the shelter exists. They need to know the phone lines exist not just for when I’m in crisis, because women quite often don’t seem themselves as in crisis,” said Patty Kelly, executive director of The Women’s Centre (Grey & Bruce). Men who themselves may be treating women disrespectfully, sexually, emotionally, physically and in any other way, may also come to appreciate what they’re doing if they stop and think, Kelly said. Those men “may not even realize they’re abusive.” By joining the walk, they may raise their own consciousness. She also noted sometimes men are the ones being abused. 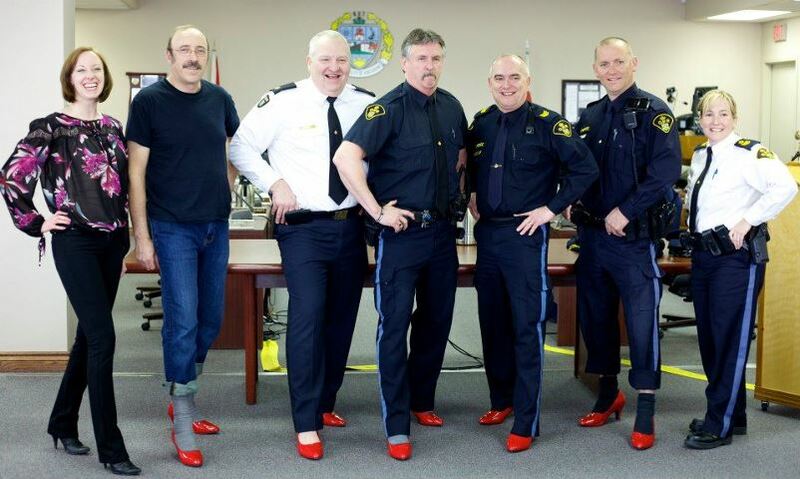 Walk a Mile in Her Shoes was started in 2001 by Frank Baird, a California counselling therapist who wanted to do something to help women who suffer sexual abuse and violence. The walk has grown to a world-wide campaign which raises millions annual by men who want to help. 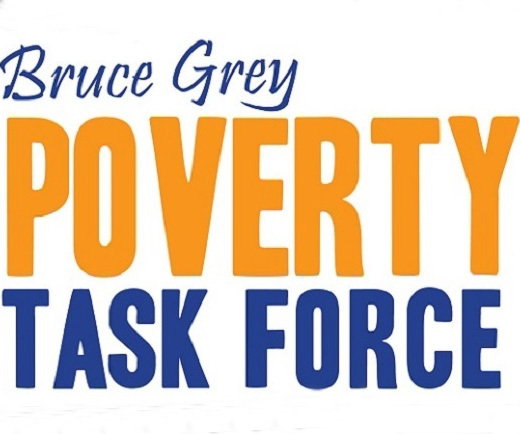 The local event is being hosted by The Women’s Centre (Grey & Bruce), in Owen Sound and by Women’s House Serving Bruce & Grey, in Kindardine. Kelly said her shelter houses about 150 women annually. About 30 to 50 children also stay every year. The Owen Sound women’s shelter’s help line fields 100 to 200 calls per month. Overall, the Owen Sound shelter is involved with about 500 clients per year, including those who come for counselling, for example, but don’t live there. The Women’s Centre is only funded for 13 beds but has 20 beds available. Women’s House is also funded for 13 beds but has 18. Both shelters are “very” dependent on community donations, Kelly said, and will share the money raised in the Walk a Mile event.